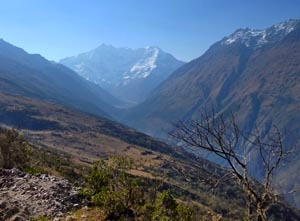 The Inca Trail is South America’s most well-known trek. Typically starting at Km82 in the Sacred Valley and following a stretch of Inca pathway located close to Cusco, Peru that leads to the ancient Inca citadel of Machu Picchu, this has been a favorite of tourists for decades. Exact details vary depending on the agency you ask. From Km82 the distances quoted vary from 41km / 26 miles to 25km / 28 miles. Until we are able to confirm the exact distances our best estimate based on the testimonies of various guides is 41km / 26 miles. How many days is it typically walked in? Most people trek the full distance in 4 days with 3 full days walking and the final day covering the final 5km / 3 miles of the path and being mostly spent visiting Machu Picchu itself. There are various options for the trek; some agencies offer a marathon version of the trek where the whole trek is completed in just 1 or 2 days, another option is to do it in 5 days taking things at a more leisurely pace and having more time to visit the Inca sites along the way. If you are like most people, you likely know that Australia is filled with kangaroos, koalas, that it has the Sydney Opera House and The Outback. Cameron Ernst mentions this on his blog, and he hit the nail on the head with the thought, as people who’ve never been to Australia don’t know what to expect. With the exception of Alaska, every state in the USA has at least one deadly snake inhabiting it. Nearly 8,000 people a year are bitten by venomous snakes in the US each year. Getting bit in the wilderness, away from medical attention and anti-venom, can be a death sentence. All of the advanced outdoor survival skills you’ve learned won’t mean much if you find yourself on the receiving end of a deadly rattlesnake strike. Rattlers are the largest type of venomous snake in the US. They have no specific region and they are spread out all across the country. There are thirteen species of rattlesnake such as the Eastern and Western Diamondback in the United States. Rattlers are most abundant in the southwest near the Mexican border in places like Texas and Arizona but they reside in nearly every state. Rattlesnakes use a neurotoxin which shuts down the immune system of their prey.The rattling sound gives people a chance to flee before they strike and more people die from bee stings in the US than rattlesnake bites. Every hiker’s worst nightmare is being stranded cold and alone in the depth of the woods. Few people know how they’ll react or survive in such extreme conditions. By following a few tips and tricks, you can ensure that you are prepared with the essentials for combating the cold. Constructing a shelter is the first way to get out of the cold and reduce your exposure. The most common type of shelter for this circumstance is the lean-to. Constructing a basic lean-to with branches and shrubbery will protect from wind, rain and snow. In order to insulate and keep generated heat inside the lean-to, be sure to pack snow around the exposed areas. This will create a shelter that will protect from most of the elements you’ll experience in the cold. Another great tool for shelter is the use of a fallen tree as cover. This requires expending less energy in gathering resources, but does require energy to dig a hole out from under the fallen tree. The Sierra Designs Lightning HT 3-Person Tent is a lightweight tent that offers enough space to comfortably hold 3 people. The tent is spacious with an internal area of 40 square feet. In addition to this, it also has 2 vestibules for easier entry and exit as well as a color-coded D-door. The vestibules provide room for extension allowing even more internal space. It also features PVC-free seam tape as well as a super seal floor for added durability. The tent is very easy to assemble due to its ultra-light but strong clips. 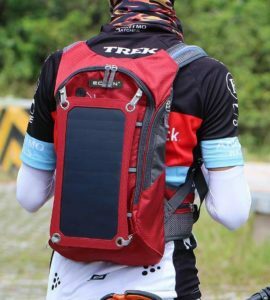 For those camping in rainy areas, the tent’s floor comes with 70D nylon body material that provides waterproof properties up to 3000 mm. The tent has mesh walls that allow star gazing during the night and offer increased airflow inside the tent. Ventilation inside the tent ensures that your tent does not get stuffy and condensation does not occur. Built with state of the art DAC swivel hub poles, the tent is more than able to withstand high winds when camping. Weighing only 5.1 pounds, this is a lightweight tent that every camper travelling light must consider. The Eureka Solitaire tent is a great and inexpensive tent to travel light with. The tent is extremely easy to assemble and covers 21 sq. feet of interior space. Priced at only 90 dollars, this solo tent ensures that you not only have adequate space inside your tent for your sleeping bag but also room for your camping equipment. The tent is extremely lightweight at only 2.9 pounds and small allowing camping over long distances. 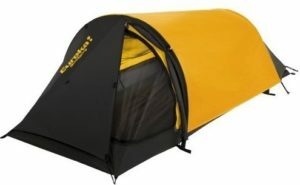 Campers will also appreciate its 70D nylon taffeta material that ensures water resistance up to 1200 mm. Built with durable fiberglass of 6.3 mm thickness and full panel mesh windows, the Eureka Solitaire was designed for serious campers. To top it off, it comes with a zipper on the roof for easier exit and entry. Other notable features include its large mesh roof for improved ventilation and a two hoop bivy-style that gives the tent its natural standing posture. When people think of Peru the first thing that comes to people’s minds is Machu Picchu; some might know about the Inca Trail but beyond this Peru’s hiking routes are almost completely unknown. Just in the Cusco area alone there are a wide variety of routes that can easily be hiked without much pre-planning or preparation. To give you a taster here are some of the more common routes that are hiked by tourists. This is Peru’s most famous hike and combines a wide mix of stunning scenery, visits to Inca archeological sites and the opportunity to see a variety of flora and fauna including many species of orchids that flourish in the Machu Picchu National Park. Starting out from the Sacred Valley of the Incas and finishing at the Inca sanctuary of Machu Picchu this hike covers 41.5km / 26 miles of intact Inca Trail over a period of 4 days; the route passes by high mountains and through the enigmatic cloud forest that surrounds Machu Picchu eventually bringing you directly in to the city itself via the Sun Gate (Inti Punku). There is a limit of about 180 people (500 people in total including support staff) who are allowed to hike each day so Inca Trail permits need to be booked several months in advance to guarantee a place. 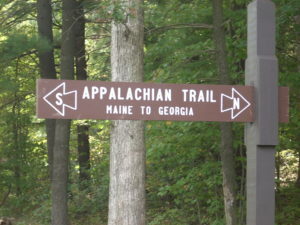 Hikers need to book with either a licensed tour operator or guide to be permitted to enter the route. If you missed out on booking a spot on the Inca Trail then the Salkantay Trek is the most recommended alternative route to bring you to Machu Picchu. Starting from the small village of Mollepata the path slowly works its way up to the base of Salkantay (The Savage) mountain before crossing the high pass (4621m / 15160ft) and heading down in to the lush valleys that surround Machu Picchu. The route is considered to be one of the most spectacular on offer in the region passing beneath several peaks that tower over 5300m / 17388ft each. The highest peak is Salkantay itself which at 6271m / 20574ft is the highest peak in the region and the 38th highest peak in the Andes. In contrast to the high peaks, the route also passes through an area of verdant highland jungle in which a wide variety of birdlife can be spotted. Covering a distance of 82.5km / 51 miles over a period of 4 days and with a 5th day to visit Machu Picchu this is quite a demanding route, especially considering it is undertaken at altitude. The path itself is very easy to follow and with obvious camping spots. Many people opt to hire local arrieros (mule drivers) in Mollepata to carry their gear as they not only ease the load but also serve as a guide to show you the way.